♦ Volunteer Your Home for Shabbat Service & Oneg - Contact Heather at: heather_zimmerman@verizon.net. The Rumi Foundation describes the Hizmet Movement as “a global network of volunteers, teachers, intellectuals, business people, and students who are inspired by Fethullah Gulen's philosophy based on dialogue and peaceful coexistence." Gulen advocates cooperation between followers of different religions, as well as those practicing different forms of Islam. Our catered Shabbat dinner will feature a chicken entree for $15.00/person. Please RSVP for the dinner, using the following link: http://www.signupgenius.com/go/5080548A8AB2CA02-march1. Payment should be mailed to Bet Chaverim, P.O. Box 2428, Ellicott City, Maryland 21041. Collaborative, 9770 Patuxent Woods Drive, Columbia, MD. Families with young children through 3rd grade (older children welcome too!) are invited to join us for a joyous seder that explores the traditions, symbols and songs of Pesach in a fun and age-appropriate way... and all in chocolate! Stick around after the seder to learn all about Bet Chaverim Religious School! Fun Passover crafts will be available for the children. Bet Chaverim is looking to establish programming for our teenage population. The programming will be based on their interests, and may include social events, Jewish talks (like Torah on Tap for Teens), social action, and just hanging out. To start this, we need your help. If you have teenage children in your household, please complete the very brief survey at the link below. This will help us build a membership list of our teenagers, and gather their interest areas. Please complete a survey for each teenager. Bet Chaverim needs volunteer hosts to hold home-based Friday night services, approximately once each month. A few desserts, kiddush, and seating for a small, intimate group is all that's needed, and arrangements can be very flexible. Please contact Heather Zimmerman at heather_zimmerman@verizon.net if you are interested in hosting any of the remaining 2018 home-based Shabbat services. Bridges to Housing Stability in Howard County has continuous need of welcome baskets to provide to the individuals and families placed into housing via their Shelter Diversion, Landlord Engagement, and Alliance Programs. Woo hoo, the Bet Chaverim Congregation responded and helped the Social Action Committee create “Welcome Home” baskets for those new to housing. Kudos to Jon & Risa Kipnis, Karyn & Les Gross, Michelle & Jon Goldberg, Laurie & Steve Diener, Doris & Ben Zingman, Mary & David Marker, Ivy Konel &Marvin Zeldin, Alethea & Mark Schmall, Nancy & Ed Kutler, and Shelli & Henry Rossman. The “Welcome Home” baskets were transported by Heather Zimmerman, and unloaded with the assistance of 5 Bridges to Housing Stability staffers on January 8th. There is still time to help by covering the cost of by sponsoring the value of items that were donated. Sign up at: Bet Chaverim "Welcome home" baskets, and then send a check to Bet Chaverim (address below), indicating the donation is for the Welcome Basket Social Action Project. Thank You! This year, Purim Palooza & Kids Activity Expo is February 25, from 11:00 AM - 1:00 PM at Long Reach High School. The Federation is seeking volunteers to help with event set-up, supervising games, craft projects, giving out prizes, and more! To sign up as a volunteer, visit www.signupgenius.com/go/10c0e45a9ac2ea3fc1-purim1. Kugel Connection was launched by Cheryl Kaufman in January 2014 to help Jewish senior citizens in the area, who would like to be matched with volunteers to receive help with grocery shopping, transportation to non-medical events, and social interaction (e.g., visits for home-bound seniors). There are no costs for these services. If you would like to volunteer or to receive services (or know someone who can benefit from such services), please contact Cheryl at info@kugelconnection.com or 443-745-2866. Thank you to The Brumberger-Gruber Foundation for the generous donation to Bet Chaverim. Thank you to Jay Fridkis for his generous donation to the Welcome Home Basket project. 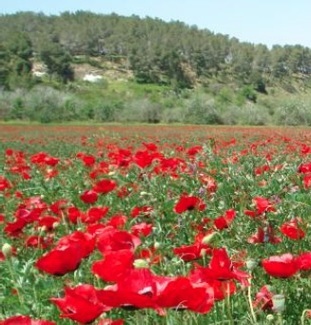 *Bet Chaverim has established a number of ways for Congregants and other supporters to commemorate life cycle events, or to honor or memorialize individuals important to their lives. Donors can choose to allocate their donations to Bet Chaverim's General Fund for operating expenses, our Chesed Fund to provide shiva trays for bereaved members of our Congregation, or the Melissa B. Gorelik Fund that supports youth activities for children and adolescents. Donations can also be earmarked for the BC Religious School, which provides Jewish education, and is currently running a moderate deficit. Additionally, we recently introduced the new Eitz Hayim Chumash; for $72 (quadruple Chai), Donors can dedicate a book that will be inscribed with a customized bookplate at the front of the Chumash. Donations can be sent to Bet Chaverim's post office box, but please remember to include the reason for your donation [and for Chumashim, the inscription you'd like to have on the bookplate(s)]. ♦ Shabbat Service - Sat., Mar. 10, 9:30 AM, Hawthorn Center, 6175 Sunny Spring, Columbia, 21044. ♦ Catered Dinner, Shabbat Service, and Speaker - Fri., Mar. 16, 7:00 PM, Hawthorn Center, 6175 Sunny Spring, Columbia, 21044. RSVP required. ♦ "Fighting Fire With Fire" Solidarity Shabbat - Fri., Mar. 16, 7:00 PM at the home of Laurie & Steve Diener, 10622 Millet Seed, Columbia 21044. ♦ Bet Chaverim Chocolate Seder and Religious School Orientation - Sun., Mar. 18, 2:30 -3:30 PM, Howard County Nonprofit Collaborative, 9770 Patuxent Woods Drive, Columbia, MD. RSVP required. ♦ Monthly Minyan - Wed., Mar. 21, 7:30 PM at the home of Karyn & Les Gross, 9498 Vollmerhausen Drive, Columbia 21046. If you need a Minyan at any other time, please call Karyn at 301-233-4371. ♦ Shabbat Service and Bar Mitzvah of Ben Glaros - Sat., Mar. 24, 9:30 AM, Kahler Hall, 5440 Old Tucker Row, Columbia, MD 21044. ♦ Shabbat Service - Sat., Mar. 31, 9:30 AM, Hawthorn Center, 6175 Sunny Spring, Columbia, 21044. Israel Café Lunch ‘N Learn - Wed., Mar. 14, 11:30 AM - 1:00 PM, 10630 Little Patuxent Pkwy, Suite 121. On the second Wednesday of the month, come along with our shlicha (Israeli emissary), Ella Haetzni, as she recounts the different communities she encountered across Israel on the Israel National Trail, a hiking path that crosses the entire country of Israel. Bring a brown bag lunch—we’ll provide the dessert and drinks. Free, but RSVP requested at: Associated.org/IsraelCafe. For more information, please contact Ella at Shlichut@JewishHowardCounty.org. Preserving & Accessing History at the US Holocaust Museum - Sun., Mar. 18, 7:00 PM, Temple Isaiah, 12200 Scaggsville Rd, Fulton. This year marks the 10th anniversary of the opening of the International Tracing Service Archive, the largest collection of Holocaust-era documentation in the world. Learn more from Andres Abril, Director of USHMM's Mid-Atlantic Region, and Diana Afoumado, Chief, Research & Reference at USHMM. Co-sponsored by Temple Isaiah and the Jewish Federation of Howard County. Register. The Red Tent Club: What’s Love Got to Do With It? - Mon., Mar. 26, 6:00 PM Dinner; 7:00 PM Program at Monteabaro Hall, HCC, 10901 Little Patuxent Pkwy, Columbia. Dr. Bohne Silber, a local psychologist and certified relationship therapist who practices couples therapy, will discuss how relationships can change from butterflies and rainbows to something resembling a war zone. She will look at how we end up with the partners we choose and ways to manage conflict better, so that we strengthen our relationships instead of tearing them down. This will be an interactive session with an opportunity to ask questions. Cost is $100 for all three of this year’s Red Tent sessions. The Red Tent Club’s special programs are available to anyone who contributes at least $36 annually to the Federation. RSVP at Associated.org/RedTent. Oakland Mills Interfaith Center, 5885 Robert Oliver Place, Columbia, MD 21045. Join the community in commemorating Holocaust Memorial Day in Howard County. This year's Yom HaShoah service honors the memory of Howard County community member Jacques Fein, z”l, and recounts his story of rescue as a child in France. Please bring artifacts and photographs that you’d like to display to the Yom HaShoah service. For more information, visit JewishHowardCounty.org/YomHaShoah. Israel@70 in Howard County - Sun., May 6, 1:00 - 5:00 PM, The Lawn Behind Temple Isaiah, 12200 Scaggsville Rd, Fulton. Save the date for Israel@70 in Howard County! The community-wide festival features live performances by The Highlights--Molly Krief & Saar Gez, synagogue choirs, and dance troupes; an official ceremony in honor of Israel's 70th birthday; Israeli crafts, food, and wine; face painting and kids’ activities; PJ Library Goes to Israel booth; and more! Registration coming soon! HCC Jewish Group - The HCC Jewish Group at Howard Community College has open, bi-monthly meetings on the 1st and 3rd Thursdays of the month in Room 310 of the HCC SET Building. All HCC students are invited to participate. For more information or to find out about JG leadership opportunities, please contact Ella Hatezni or Janet Schreibstein. ♦ Shabbat Service - Sat., Feb. 24, 9:30 AM, Hawthorn Center, 6175 Sunny Spring, Columbia, 21044. 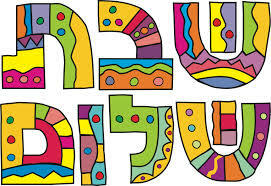 ♦ Purim Celebration - Wed., Feb. 28, 6:30 PM, Hawthorn Center, 6175 Sunny Spring, Columbia, 21044. Grab a gragger, costume the kids (and/or yourself), and join Bet Chaverim Congregation for a fun, friendly, family-focused Purim celebration and Megillah reading! Holocaust Survivor and Bet Chaverim Member Edith Cord will discuss her experiences growing up in Europe and facing Nazi persecution, as well as as the importance of Zionism and Israel for her survival. Sponsored by the HCC Jewish Group and open to the community. See details under Federation events. ♦ Shabbat Service & Oneg - Fri., Mar. 2, 7:30 PM, at the home of Alethea & Mark Schmall, 7849 Grassy Garth, Elkridge, MD 21075. ♦ Shabbat Service - Fri., Mar. 16, 7:00 PM, Hawthorn Center, 6175 Sunny Spring, Columbia, 21044. ♦ Shabbat Service - Sat., Mar. 24, 9:30 AM, Hawthorn Center, 6175 Sunny Spring, Columbia, 21044. ♦ Purim Service - Wed., Mar. 28, 6:30 - 8:30 PM, Hawthorn Center, 6175 Sunny Spring, Columbia, 21044. Temple Isaiah. Look back on 70 years with Reuven Azar, Deputy Head of Mission at the Embassy of Israel in Washington, DC. Hear about the challenges and opportunities the country currently faces as it moves into its 71st year. Program is free, but advance registration is recommended. Register at Associated.org/HoCoIsrael. Find more information about Israel in Howard County at JewishHowardCounty.org/shlichut. ♦ Shabbat Service & Potluck Dinner, with Wine Tasting - Fri., Feb. 16, 7:00 PM, Hawthorn Center, 6175 Sunny Spring, Columbia, 21044. ♦ Monthly Minyan - Wed., Feb. 21, 7:30 PM at the home of Karyn & Les Gross, 9498 Vollmerhausen Drive, Columbia 21046. If you need a Minyan at any other time, please call Karyn at 301-233-4371. Please join Bet Chaverim for Shabbat Services on Friday, Feb. 16, at 7:00 PM at the Hawthorn Center, 6175 Sunny Spring, Columbia, 21044. Bring your sweetheart and socialize. Hot drinks to include coffee, tea, and apple cider. Several kosher wines will be available for sampling to help choose wines for future events. ♦ Shabbat Service - Sat., Feb. 10, 9:30 AM, Hawthorn Center, 6175 Sunny Spring, Columbia, 21044. ♦ Volunteer Your Home for Shabbat Service & Oneg - Fri., Mar. 2, 7:30 PM; Contact Heather at: heather_zimmerman@verizon.net. ♦ Shabbat Service - Fri., Feb. 16, 7:00 PM, Hawthorn Center, 6175 Sunny Spring, Columbia, 21044. ♦ Shabbat Service & Oneg - Fri., Feb. 2, 7:30 PM at the home of Lynn & Lew Weinstein, 4260 Lilac Lane, Ellicott City. ♦ Seeds of Change: Tu B'Shevat Seder & Mitzvah Experience - Sun., Feb. 4, 1:30 - 3:00 PM, Oakland Mills High School, 9410 Kilimanjaro Road, Columbia, 21045. ♦ Volunteer Your Home for Shabbat Service & Oneg - Fri., Feb. 2, 7:30 PM; Contact Heather at: heather_zimmerman@verizon.net. ♦ RSVP for Seeds of Change: Tu B'Shevat Seder & Mitzvah Experience - Sun., Feb. 4, 1:30 - 3:00 PM, Oakland Mills High School, 9410 Kilimanjaro Road, Columbia, 21045. This program is FREE and open to the community.Please RSVP at http://www.signupgenius.com/go/30e0a44acab23a6ff2-seeds . ♦ Shabbat Service - Sat., Jan. 27, 9:30 AM, Hawthorn Center, 6175 Sunny Spring, Columbia, 21044. ♦ Shabbat Service & Oneg - Fri., Feb. 2, 7:30 PM, TBD. ♦ Shabbat Service & Oneg - Fri., Mar. 2, 7:30 PM, TBD. ♦ Shabbat Service, With Rabbi Morris Zimbalist - Fri., Jan. 19, 7:00 PM, Hawthorn Center, 6175 Sunny Spring, Columbia, 21044. ♦ Rosenwald Movie Night and Dessert Reception - Sat., Jan. 20, 7:00 - 10:00 PM, Howard County Arts Center, 8510 High Ridge Road, Ellicott City. ♦ Rosh Chodesh Group Tu B'Shevat Seder - Sun., Jan. 21, 7:00 PM, at the homer of Lynn Witkin-Weinstein. RSVP to Lynn at lynn.witkin@gmail.com for home address and other details. ♦ RSVP for Rosenwald -- it's not too late!! For those who have been meaning to sign-up, but just haven’t gotten around to it, don’t worry! You may still sign up and pay at the door. Commemorate MLK Day by joining us for a powerful documentary, renowned Rosenwald expert, and dessert. Please join us for the next Rosh Chodesh group, which is scheduled for 7:00 PM on Sunday, Jan. 21 at the home of Lynn Witkin-Weinstein. Since our Rosh Chodesh group started meeting every other month last year, we've had 12 -16 women gathering for an evening of casual conversation and exchange of views on topics of relevance to Judaism. For this gathering, we will be holding a mini Tu B'Shevat seder. Please RSVP to Lynn at lynn.witkin@gmail.com for home address and other details. This program is FREE and open to the community. Sponsored by Bet Chaverim Congregation and Bet Chaverim Religious School in partnership with PJ Library of Howard County. It’s fall once again--which means it’s time to order your 2018 Mah Jongg cards. Send your checks in early and avoid the rush. A portion of the cost of each card goes to the Jewish Emergency Network (JEN). JEN was established within the Jewish Federation of Howard County to help those individuals and families who struggle to place food on the table, heat their homes, and provide clothing for their children. Standard cards are still $8, and the large cards are $9. Please send your checks, made out to Jewish Emergency Network, no later than January 19th to: Edna Nacht, 5141 Oven Bird Green, Columbia, MD, 21044. ♦ Shabbat Service - Sat., Jan. 13, 9:30 AM, Hawthorn Center, 6175 Sunny Spring, Columbia, 21044. ♦ Monthly Minyan - Wed., Jan. 17, 7:30 PM at the home of Karyn & Les Gross, 9498 Vollmerhausen Drive, Columbia 21046. If you need a Minyan at any other time, please call Karyn at 301-233-4371. Thank you to Shelli & Henry Rossman for their donation in memory of Shelli's beloved father, Harvey Maxwell Balter, z"l; Arlene Malech, z"l; and Steve Kovel, z"l.
♦ Shabbat Service - Fri., Jan. 19, 7:00 PM, Hawthorn Center, 6175 Sunny Spring, Columbia, 21044.
at the home of Michelle & Grant Forman, 4910 Irving Court, Ellicott City, MD 21043. The Formans request that people do not park in the common drive. Instead, there may be room for a few cars to park in the Forman's driveway, and the rest should park along the street elsewhere in the neighborhood. Thank you to Irene Griff and Mark Hasegawa for their generous donation to the Rabbi's Compensation Fund in memory of Arlene Malech, z"l.
oxyGEN’s Game Night - Sat., Jan. 6, 7:30 - 9:30 PM, Temple Isaiah, 12200 Scaggsville Rd, Fulton. Join oxyGen and Temple Isaiah's connecTIon for a fun game night featuring drinks, snacks, and lots of games! This event is for those in their 20s-40s and their significant others. Cost is $15. Register at Associated.org/GameNight. ♦ Shabbat Service - Sat., Dec. 30, 9:30 AM, Hawthorn Center, 6175 Sunny Spring, Columbia, 21044. Bet Chaverim will screen the acclaimed documentary, Rosenwald on Saturday evening, January 20, 2018 at the Howard County Arts Center, 8510 High Ridge Road, Ellicott City. Aviva Kempner’s Rosenwald is the incredible, but little known story of Julius Rosenwald, who never finished high school, but rose to become the President of Sears. Influenced by the writings of the educator Booker T. Washington, this Jewish philanthropist joined forces with African American communities during the Jim Crow South to build more than 5,300 schools to advance black education in the American south during the early part of the 20th century. Stephanie Deutsch, great-granddaughter-in-law of Julius Rosenwald and author of "You Need a Schoolhouse," will introduce the film and host a Q&A after the showing. The program will conclude with a dessert reception. The cost for the evening is $15 per person. Please register online at: http://www.signupgenius.com/go/30e0e48aeaf2a1-rosenwald. You may pay online by credit card (the Fee is 5% of total + a 5% transaction fee). If you prefer to pay by check, please send your payment to Bet Chaverim, P.O. Box 2428, Ellicott City, MD 21041. (Please indicate "Rosenwald" in the notes area of your check). Payments are due by 1/12. Bridges to Housing Stability in Howard County is in need of Welcome Baskets to provide to the individuals and families placed into housing via their Shelter Diversion, Landlord Engagement, and Alliance Programs. 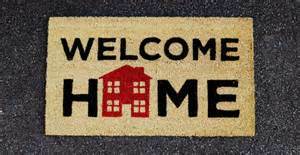 Our Social Action Committee has offered to create and donate 15 “Welcome Home” baskets for those new to housing. Donated items will be placed in a small laundry basket with a card. We hope you'll help us achieve this goal! You can either sign-up to donate a specific item Bet Chaverim "Welcome home" baskets or make a donation that can be used to purchase needed items (mark "Welcome Home" on your check, and mail to Bet Chaverim, P. O. Box 2428, Ellicott City, MD 21041). Donations can be brought to any service, the Chanukah Party or Congregational Meeting, or you may coordinate with Heather Zimmerman (heather_zimmerman@verizon.net) for pick-up or drop-off. The goal is to have the 15 “Welcome Home” baskets ready to go before the secular New Year. Thank you for thinking of others. ♦ Shabbat Service - Fri., Jan. 6, 7:30 PM. Details to Follow. Our Annual Gift Card Drive is underway, and we are collecting cards for Giant, Target, Walmart, and gas stations. These cards help people who are in financial crisis and live right here in Howard County. Our goal is to collect 200 gift cards. Please mail or drop off your gift cards at the Federation Office, 10630 Little Patuxent Parkway, Suite 400, Columbia, MD 21044. Chai-Lights 12/22: Shabbat Services on Friday Night -- Please Help Make a Minyan!! ♦ Shabbat Service - Fri., Dec. 22, 7:30 PM, Hawthorn Center, 6175 Sunny Spring, Columbia, 21044. Jeff Kinstler and Phil Rogofsky on their first terms as Trustees!! All proposed changes to the Bylaws were accepted by Congregational vote. New Bylaws including those changes that will be posted on our website, and the Congregation will be notified when they are ready for viewing. The next Congregational Meeting will take place in the Spring of 2018; we hope to see you there!! Bet Chaverim will screen Rosenwald on Saturday evening, January 202018 at the Howard County Arts Center. Details to follow. Aviva Kempner’s Rosenwald is the incredible story of Julius Rosenwald, who never finished high school, but rose to become the President of Sears. Influenced by the writings of the educator Booker T. Washington, this Jewish philanthropist joined forces with African American communities during the Jim Crow South to build more than 5,300 schools during the early part of the 20th century. Inspired by the Jewish ideals of tzedakah and tikkun olam and a deep concern over racial inequality in America, Julius Rosenwald used his wealth to become one of America’s most effective philanthropists. Because of his modesty, Rosenwald’s philanthropy and social activism are not well known today. He gave away $62 million in his lifetime. Please join us for the next Rosh Chodesh group, which is tentatively scheduled for 7:00 PM on Sunday, Jan. 21. Since our Rosh Chodesh group started meeting every other month last year, we've had 12 -16 women gathering for an evening of casual conversation and exchange of views on topics of relevance to Judaism. Thank you to Vivian & Stu Goldman for their donation in loving memory of Vivian's father, Willie Millman, z"l.
Thank you to Vivian & Stu Goldman for their donation in memory of Arlene Malech, z"l.
♦ Shabbat Service and Oneg - Fri., Dec. 15. Cancelled due to inclement weather. ♦ Chanukah Party - Sat., Dec. 16, 5:40 PM, Howard County Nonprofit Collaborative, 9770 Patuxent Woods Drive, Columbia, MD. ♦ Semi-Annual Congregational Meeting - Sun., Dec. 17, 7:00 PM at The Community Room, 10001 Windstream Drive, Columbia. ♦ Monthly Minyan - Wed., Dec. 20, 7:30 PM at the home of Karyn & Les Gross, 9498 Vollmerhausen Drive, Columbia 21046. If you need a Minyan at any other time, please call Karyn at 301-233-4371. Please support our Toy Drive and Welcome Home Baskets social project -- bring donations to Chanukah Party or Congregational Meeting. MAY YOUR CANDLES BURN LONG, AND YOUR CELEBRATION BE JOYOUS!! Bet Chaverim is seeking Congregants to serve on the Board of Trustees. Board service is a great way to help shape our future and help us become a stronger, more vibrant Congregation. If you are interested in running for the Board, please contact nominating committee co-chairs Ben Zingman (443.802.8809 or bzcom@aol.com) or Steve Bloom (443.520.8489 or sdbloom@comcast.net) as soon as possible. They will answer your questions, and help you prepare for the election at the Fall Congregational meeting (Dec. 17). Please plan to join us for this important meeting on Sunday, Dec. 17 at 7:00 PM in The Community Room at 10001 Windstream Drive, Columbia 21044. Background information about these candidates was emailed earlier this week, along with a statement regarding our new Safety and Security Committee. Officer positions and the other four elected trustee slots will be up for election at the Fall, 2018 Congregational meeting. Nominations will remain open until the election, including from the floor at the meeting. Congregants who wish to run for the Board should contact either of the Nominations Committee Co-chairs - Ben Zingman (443.802.8809) or Steve Bloom (443.520.8849). A new article (Article 8) defining the relationship of the Bet Chaverim Religious School to the broader congregation. Clarification of the roles of the officers and trustees. A revision to the process for dealing with special dues and tuition requests that enhances the dignity and privacy of congregants. Numerous minor changes in wording and certain procedures are also included. A copy of the Bylaws showing tracked-change revisions is attached for review by the membership. Financial Report: There will be a comprehensive, up-to-date review of the financial health of the congregation. Additional agenda items may be added. All members in good standing are entitled to vote. Proxy voting is limited to one’s spouse or partner. Members cannot have friends deliver proxy votes on their behalf. After this meeting, the next Congregational Meeting will take place in the Spring of 2018. Your family is invited to Latkes and Lights, sponsored by Bet Chaverim Congregation. All are welcome! 6:30-7:30 PM Eric Energy presents CHANUKAH LIGHT SPECTACULAR - a Chanukah-themed science show for all ages, all about the miracle of light! This event is sponsored by Bet Chaverim Congregation in partnership with PJ Library of Howard County. Free and open to the community! Please RSVP by December 9th! PS: If you're able to assist with set up, the building will open at 5:00 PM. This holiday season, Bet Chaverim will be collecting toys for the Jewish Community Services (JCS) in Baltimore. The lovely thing about this organization is that gifts are not only distributed to those in need during Chanukah, but throughout the year, as well on special occasions such as birthdays. Your donation of new, unwrapped toys, games, books, crafts, school supplies or gift cards ($10 or less for gift cards) will brighten the holiday for children whose families are facing hardship and are receiving help from JCS. If you are able and would like to donate to this organization, please bring your donation to the Bet Chaverim Chanukah party on Saturday, December 16, or to the Congregational Meeting on Sunday, December 17. Mitzvah Day - Mon., Dec. 25, 9:00 - 11:00 AM, Bet Yeladim Preschool, 8910 Annapolis Rd, Columbia, MD 21045. Spend your day off doing family-friendly hands-on volunteer projects. Enjoy entertainment and snacks for the whole family. Register at Associated.org/MitzvahDay. For more information, contact Meghann Schwartz at MSchwartz@JewishHowardCounty.org. ♦ Shabbat Service - Sat., Dec. 9, 9:30 AM, Hawthorn Center, 6175 Sunny Spring, Columbia, 21044. ♦ Board Meeting - Sun., Dec. 10, Details to follow. ♦ Light the First Chanukah Candle - Tues., Dec. 12. ♦ RSVP for Latke & Lights, and our Social Action Project, as well as the upcoming Federation events. Background information about these candidates - and any others who come forward -- will be sent to the congregation prior to the meeting. We hope you'll help us achieve this goal! You can either sign-up to donate a specific item Bet Chaverim "Welcome home" baskets or make a donation that can be used to purchase needed items (mark "Welcome Home" on your check, and mail to Bet Chaverim, P. O. Box 2428, Ellicott City, MD 21041). Donations can be brought to any service or you may coordinate with Heather Zimmerman (heather_zimmerman@verizon.net) for pick-up or drop-off. Thank you to Andrea Shapiro/The Elijah Fund for the generous donation to Bet Chaverim. ♦ Semi-Annual Congregational Meeting - Sun., Dec. 17. Details to follow. HCC Jewish Student Group Hanukkah Relaxation & Fun Event - Thurs., Dec. 7, 12:30- 2:00 PM. Howard Community College Galleria. Howard Community College students are invited to a Hanukkah event featuring food, games, relaxation, and fun and friendly conversation! For more information, contact Janet Schreibstein or Ella Haetzni. Israel Café Lunch ‘N Learn - Wed., Dec. 13, 11:30 AM - 1:00 PM, 10630 Little Patuxent Pkwy, Suite 121. On the second Wednesday of the month, come along with our shlicha (Israeli emissary), Ella Haetzni, as she recounts the different communities she encountered across Israel on the Israel National Trail, a hiking path that crosses the entire country of Israel. Bring a brown bag lunch—we’ll provide the dessert and drinks. Free, but RSVP requested at Associated.org/IsraelCafe. For more information, please contact Ella at Shlichut@JewishHowardCounty.org. 3430 Court House Drive, Ellicott City, 21043. County Executive Allan H. Kittleman and the Jewish Federation of Howard County invite you and your family to a Chanukah candle lighting and reception. Please RSVP by Monday, December 11 to ckawata@howardcountymd.gov. ♦ Shabbat Service - Fri., Dec. 1, 7:30 PM, Hawthorn Center, 6175 Sunny Spring, Columbia, 21044. Please plan to join us for this important meeting. This is the meeting when Congregants vote to select Board members (consult future Chai Lights for information regarding candidates and other matters to be addressed). Mazel Tov to Marsha and Ivan Gorelik on the naming of their new granddaughter, Clara Rose Gorelik. ♦ Shabbat Service and Oneg - Fri., Nov. 17, 7:30 PM, at the home of Alethea & Mark Schmall, 7849 Grassy Garth, Elkridge, MD 21075; 410-799-2562. All refreshments for the Oneg will be provided by the Schmalls. ♦ RSVP for Rosh Chodesh Group.